Whoa! 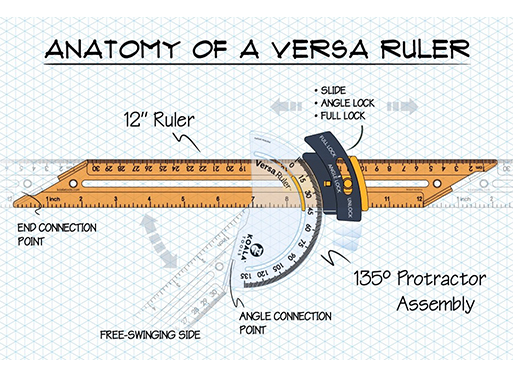 The next time you want to draw a bunch of multi-sided shapes, get yourself a Versa Ruler. 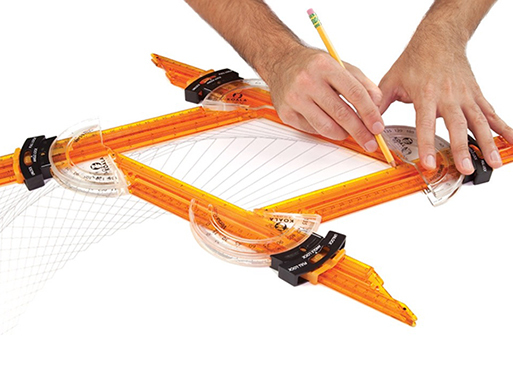 Set your desired angles by snapping the rulers into place, then pivot and slide the rulers to get just the right lines. Yes, it is a pretty specific tool, but as anyone who’s worked in a studio or workshop knows, most of the time using the right tool saves a ton of time. Available from Koala Tools, $39.95.